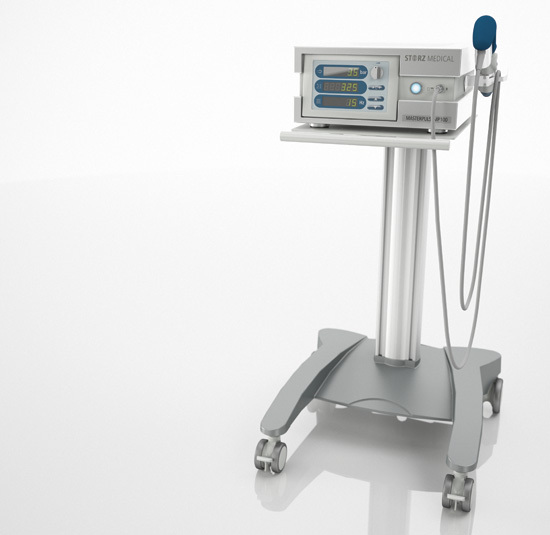 Shockwave Therapy is a revolutionary new technology which provides non-surgical treatment for many conditions that historically could only be resolved through surgical intervention. Shockwave Therapy promotes healing of degenerated or injured tissue leading to reduced pain and an increase in joint function. 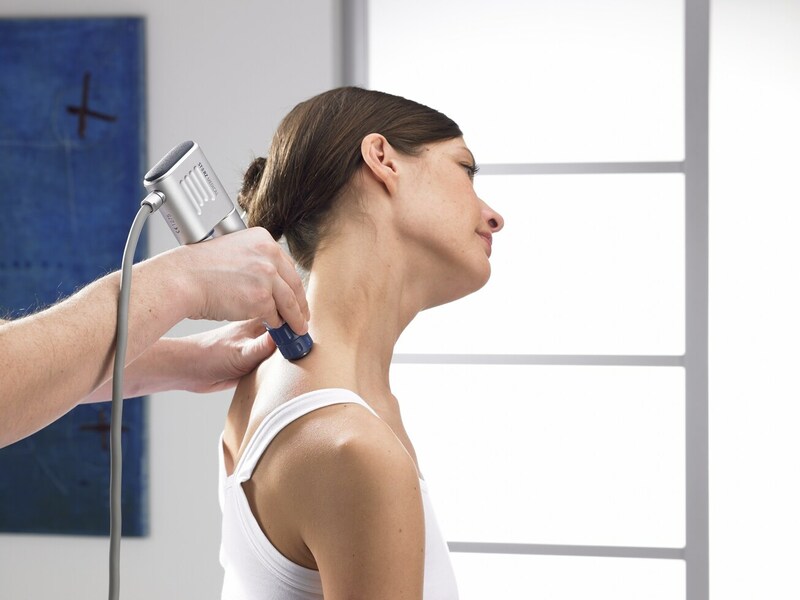 Shockwave Therapy is clinically proven to be effective in resolving and treating a wide variety of medical conditions, improving the quality of your life. Shockwaves accelerate the healing process by activating the body’s self-healing powers, particularly in cases where the body has been unable to do it on its’ own. It stimulates metabolism and enhances blood circulation which enables damaged tissue to regenerate and eventually heal. The practitioner, will apply shockwaves through a specially designed hand piece that produces strong energy pulses for short periods of time. 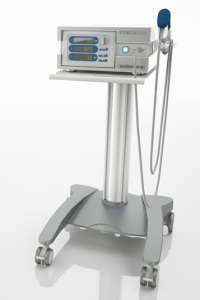 The shockwave energy pulses are applied directly to the affected tissue areas in a controlled procedure. Shockwaves have a mechanical effect on the tissue. Pressure in front of the shockwave is transmitted into the tissue, creating microcavitation bubbles that expand and burst in a resultant force. This force penetrates tissue and stimulates cells in the body which are responsible for bone(osteoblasts) and connective tissue(fibroblast) healing. Treatment is usually measured in the amount of shocks applied. 2000-3000 shocks are usually required per injury location. Normally 5 sessions are necessary. In some incidences, additional sessions may be required for chronic conditions. Treatment is slightly uncomfortable and may cause some pain, but it is normally tolerable. Research has shown that shockwave breaks down calcium deposits. After 2-3 sessions, over 80% of patients report a significant reduction in pain. 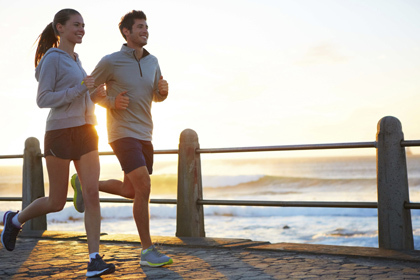 Shockwave Therapy can be used to treat a wide variety of musculoskeletal conditions, in particular those involving areas where major connective tissue attaches to bone. Shockwave Therapy sessions takes about 10-15 minutes depending on the disorder that is being treated. In general, 3-5 session are necessary at weekly intervals (some chronic conditions may require more sessions). Here is what one of our clients had to say about their experience with Shockwave Therapy. I suffered from shoulder and upper arm pain in both arms for 2 years. Other treatments weren’t working and my medical doctor suggested surgery as the only alternative. My rotator cuffs were worn out from overuse, with a lot of scar tissue. Wait time would be 2 years or more. This was not an option for me. Most Extended Health Care Providers will cover all or a portion of treatment . Call today for a consultation 604-439-1230. © 2010 Dr. Rupi Kaila. All rights reserved. No parts of this web site may be used, borrowed or copied without express written permission by Dr.Rupi Kaila. Thank you for visiting. The material on this website is for informational purposes only and is not a substitute for medical advice or treatment for any medical conditions.